Who will you invite to the dance this year? Goal setting, planning, and all that good stuff. It’s almost time to sharpen your pencil and map out the new year. When it comes to marketing, once you decide on your target market and ideal client, the next thing to decide is how you will reach them. Will you market to clients directly? Will you target referral sources? Will you do both? Where do you get your clients now? Referrals from clients? Professional referrals? Your website? Advertising? Look at your numbers so you can do more of what’s working and less of what isn’t. 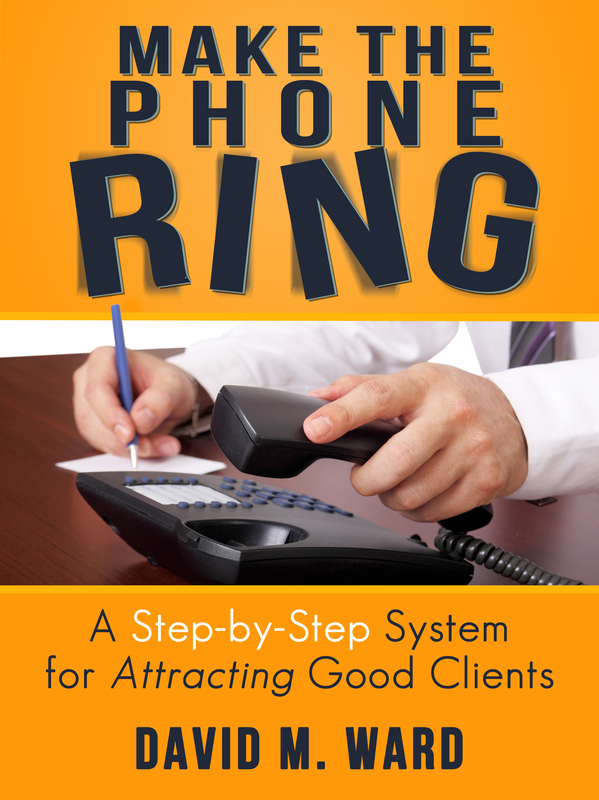 What do other lawyers in your practice area do to get their clients that you’re not doing, or not doing enough? What mechanisms can you use to reach your audience, e.g., blogs that accept guest posts, groups where you can speak and/or network? What are you good at and enjoy? Writing, speaking, networking? How can you do more? What are your resources–time, money, knowledge, experience, employees/outside help, friends and professional contacts? What are you unable to do (by your bar or firm)? If you can’t advertise to prospective clients, perhaps you can advertise to referral sources. If you can’t advertise your services, perhaps you can advertise your book or seminar. If you can’t use client testimonials, perhaps you can use professional endorsements. If you decide to market to both clients and referral sources, you also need to decide how much of your time and resources to allocate to each. You don’t have to decide everything before the year starts but you should start thinking about these things. They’ll help you get focused and get better results. How much of what you do each day could be considered “income producing activities”? Client work is income producing. So is marketing which brings in (and keeps) the clients. Everything else is is an expense and should be minimized, delegated, or eliminated. In my opinion, in an eight-hour day, five hours of client work is a good target. Another hour should be invested in marketing. That leaves two hours that can be used for admin, lunch, and (your choice), more client work or more marketing. If you have lots of clients, do more work. If you need more clients, do more marketing. Of course this is just a starting point and your mileage may vary. Next step: hire (more) assistants so you can do more work and more marketing. After that, hire more lawyers and/or legal assistants and have them do most (or all) of the work. Then, hire people to supervise and assist your team so you can continue to grow, open another office, and have time to spend some of the loot you’re bringing in. That’s how I built my practice. That’s how I quadrupled my income and cut my work down to three days a week. What to do when your practice area dries up? This just in: Divorce in U.S. Plunges to 35-Year Low. If you’re a divorce lawyer, what do you do? Whatever you do, don’t panic. Put down your coloring book, let go of your blankie, and come out of your safe space. Everything is going to be okay. First, markets ebb and flow. This year might be bad, next year the trend could turn. Second, no matter what’s going on in the overall divorce “marketplace,” unless and until divorce is outlawed, there will always be enough business available to keep you busy. In fact, there should be enough business available to make you rich. The same goes for other practice areas. So don’t worry about “the market”. Just worry about yourself. It’s like the old joke about you and a friend getting lost in the woods and a bear starts chasing you. You don’t have to outrun the bear, you just need to outrun your friend. Improve your other skills, e.g., writing, speaking, networking, sales, etc. Do these things no matter what’s going on in the marketplace and you’ll be golden. Oh, one more thing. Don’t believe everything you read in the news. Opening your own law practice: where do you start? Many lawyers ask me how to go about opening their own law practice. At the risk of sounding glib and too clever for my own good, my short answer is “you just do”. You find a place to park your carcass and see clients and then you go get some. Okay, let’s see if we can break this down a bit. I will assume that you don’t have a lot of cash, or you don’t want to spend it up front, which is a good plan even if you do have a lot of cash. You may be able to do most of your work from home initially, but you will need a place to see clients. So the first step is to find someone who will let you use their conference room or a spare office to do that. 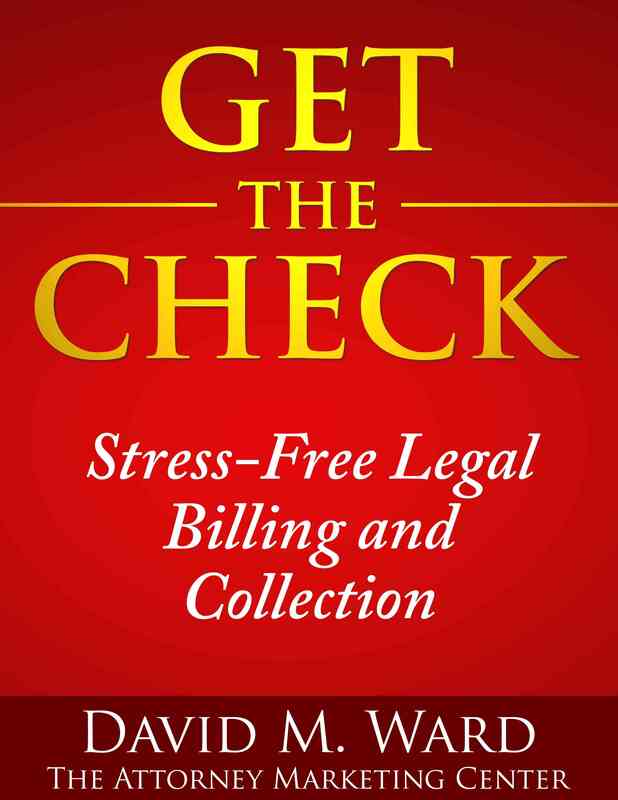 You can offer to pay them by the hour or a flat monthly fee or you can do appearances or other legal work to pay for it. You could do this in any office but there are advantages to renting space in an office occupied by attorneys: access to their library, surrounding yourself with colleagues who can help you when you have a question, and the ability to get overflow work. Which leads to the next step: getting clients. First, set up a simple website. Get your own domain name (youname.com) and at least a single page site that describes who you are, what you do, and how to contact you. Put your domain name and email address (firstname@yourname.com) and phone number on everything: business cards, stationery, email signature, social media profiles, etc. Next, if you worked for a firm before, contact clients you did work for or know and let them know you’ve opened your own office. Call them personally. Don’t pressure them, just let them know your news. Give them your website. Make a note to contact them again in a month or two. After that, tell everyone else you know that you’re open for business and send them to your website. Don’t send announcements. Nobody reads them. Send letters or emails. Explain why you opened your own office and the services you are now offering. Call five or ten of these folks a day and ask how they are doing. You’ve got the time, bub. Ask if they got your letter or email. At the end of the call, say what every new real estate agents says: “If you know anyone who needs/is thinking about. . . please send them my way”. Plant the seed that you’re open for referrals. Add this: “Also, I know a lot of attorneys in other areas of practice, so if you know someone with ANY legal need, let me know and I’ll refer them to a good attorney”. 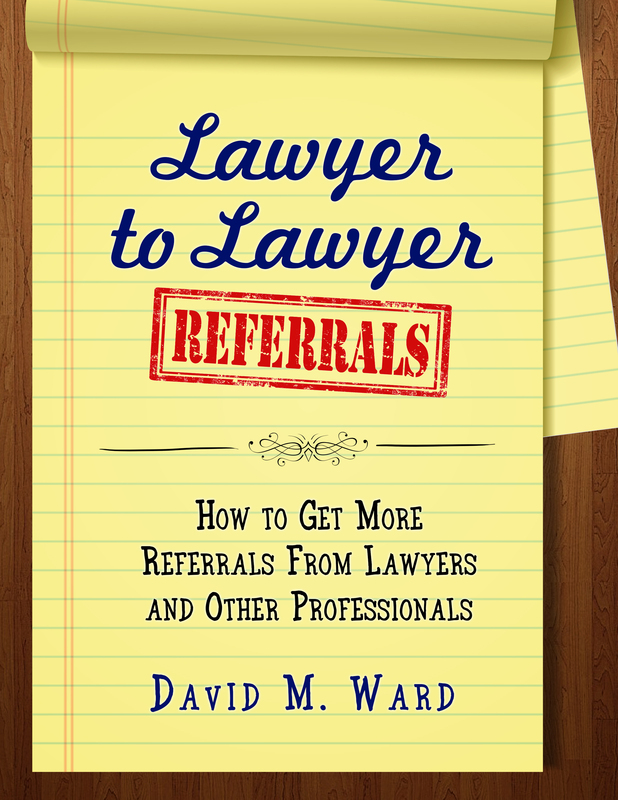 One of the best ways to get referrals from other attorneys is to give them referrals. When they say they will, say thanks and tell them you’ll be sending them some additional information. When I opened my office, I got most of my first clients from other attorneys, so contact every attorney you know and let them know you’re available for overflow and appearances. See Lawyer to Lawyer Referrals to learn more. Next, write something. A report or ebook that helps people understand problems and solutions. At the end, tell them how you can help them and the people they know. Then get that report into as many hands as possible, through as many methods as possible. Let the report sell you and your services. 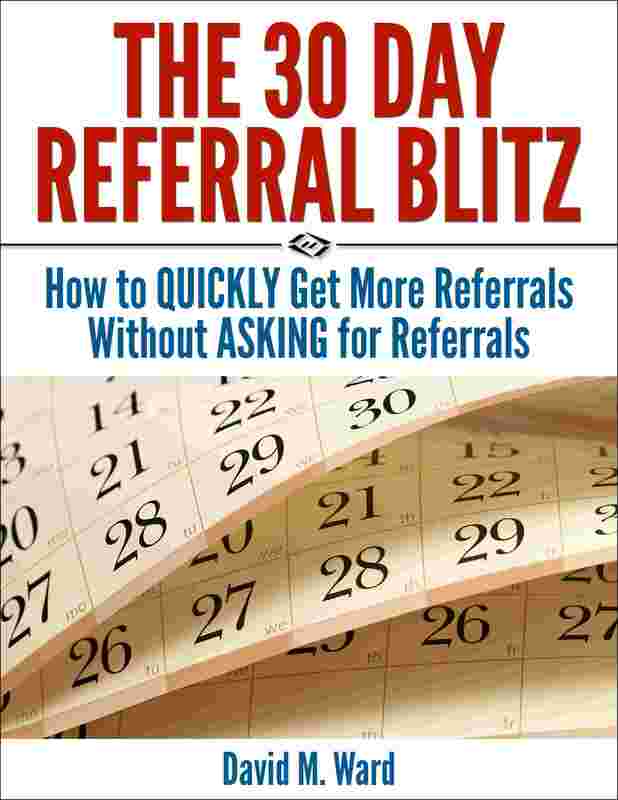 See The 30 Day Referral Blitz on how to write an effective report and how to distribute it. Now what? Now, you explore other ways for marketing yourself and there are many others. Many ways to get your name in front of people, build a list, expand your website and get more traffic, get more referrals, and otherwise bring in business. Once you start getting clients, there are ways to leverage your relationships to bring in even more. You can expect the early days to be rough going. They were for me. But today, you have the Internet and a lot of other tools for finding clients, and you also have me. Read my blog, get my courses, educate yourself, and take action every day. Focus on marketing and you will make it. Is it scary? Hell yes. But so is being unemployed and not knowing what to do, or wanting to open your own office and thinking there’s too much to do and you don’t know where to start. Now you know where to start. And starting is everything. Would you rather have more clients or higher-paying clients? I wanted him to upgrade his practice towards the higher end of the client spectrum. You have less overhead, less stress, and less work to do to produce the same income. And you don’t have to compete with everyone and his brother because there is no competition at the top. I pointed out that he already had a suitable niche market, a certain group of business owners who could provide him with referrals and introductions to other professionals who serve that market. He said he would need to take CLE classes before he could do this. I suggested that until he was proficient, he could associate with another lawyer who has the experience. He also said he would need to hire another attorney to handle some of his current caseload, and he’s willing to do that. So he has a plan. A journey of a thousand miles may begin with a single step but you can’t stop after just one. Whatever you’re doing now to market your practice, no matter how successful it is, you should always be looking for what’s next. You don’t need to find The Holy Grail of marketing. Little things can bring in new business and if you do those little things regularly, those little things can add up to big results. Once a week, find one small way to extend your existing marketing. Find one new business contact who can tell his clients about you. Find one new place to run your existing ad. Find one new keyword to optimize your online content. Find one new website where you can submit a guest post. Find one new social media platform where you can post your existing content. But don’t stop there. Once a month, find one new marketing technique that you’re not doing and start doing it. If you don’t do public speaking or webinars, for example, maybe it’s time to start. If you don’t have a blog, start working on one. If you have a website, consider setting up another. If you don’t advertise, look at how you might. To sum up: Once a week, take what’s working and find one new way to extend and expand it. Once a month, find a new way to get your marketing message heard. Once a year? Take a vacation, bub. You deserve it and now you can afford a nice one. 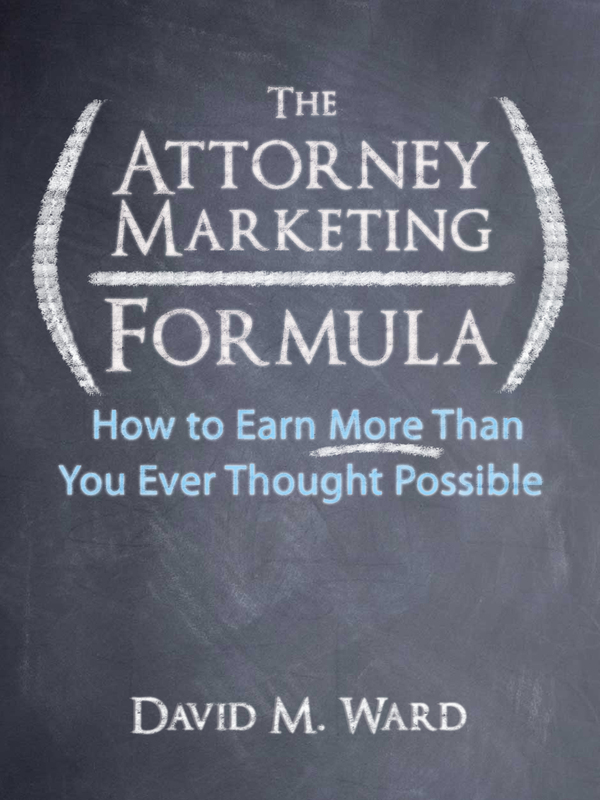 Do you know the formula for marketing legal services? Suggested marketing budget for lawyers? “You need to be the best marketer in your marketplace to succeed in today’s Internet world. You need to spend at least 15% of your revenues on marketing and sales, and preferably over 20% of revenues to really grow. Your current gross and net income. How much do you have available for marketing after overhead, debt service, and other fixed costs of doing business? Your average fee per case or client. Are they typically one-time clients or clients with ongoing legal needs? The lifetime value of a client. How many times will he return, how much will he spend, how often will he refer? Your competition. How many other lawyers or firms do what you do? What marketing methods do they use? How much do they spend? Your experience, reputation, and USP? How are you different or better? How easy is it to market you? Current marketing resources: in-house talent, size of your email list, websites/blogs, social media following, etc. Your credit worthiness. Can you finance your marketing with a line of credit at favorable rates? If you advertise, note that many publications offer generous credit terms. Your attitude towards marketing. Do you like it? Are you good at it? How aggressive are you? Other offices, practice areas, lawyers in your firm? Can you amortize or share marketing expenses? Your goals. How many? How fast? Do you want high volume or high quality? Where do you want to be in 5 or 10 years? Lawyers tend to have big margins (i.e., the size of the average fee vs. the cost to deliver the service), which means you can probably justify a bigger investment in marketing than you currently spend. Don’t forget to include the lifetime value of a client in making that calculation. Depending on your practice areas and primary marketing methods, you might find that you can do just fine with a modest marketing budget. If you get most of your business through referrals, for example, you don’t need to spend 15 or 20% of your gross on marketing. If you want to grow bigger and faster, however, or you’re in an especially competitive market, you just might. How much is your marketing budget? How much do you budget each month for marketing? If the answer is “zero” you might want to re-think that because it means you’re doing all of your marketing yourself or you’re not doing it at all. While marketing professional services cannot be completely outsourced or delegated, there are many tasks that can. And if something can be delegated, it should be. So you need a marketing budget to hire talent, buy tools, and generate traffic to your websites. You should also have funds available to take advantage of opportunities when they arise. Just as a separate bank account for savings makes sense, it’s good to have a separate bank account for marketing. It’s also wise to fund your account with automatic deposits from your general business account. You should set up this account even if you’re not yet sure how you will spend the money. Putting $100 or $200 a month into your marketing account (to start) will not only allow you to have the funds available when you decide what to do, watching your fund grow every month may “force” you to find ways to spend it. My daughter gave me a gift card for my birthday and I immediately deposited it with Amazon. I haven’t spent it, but it’s burning a hole in my digital pocket. Knowing the money is there means that every time I log into Amazon I go looking for something to buy. The same thing will happen as you accumulate funds in your marketing account. Knowing you have the money available, you’ll think about marketing more often. You’ll consider doing things you may have previously rejected or put off. When you’re busy doing legal work, your subconscious mind will be working on marketing ideas, and prompting you to take action. What about budgeting time for marketing? After all, so much of marketing professional services–networking, speaking, relationship building, (some) writing, and other things you can’t delegate–require your time. Yep, you can budget for this, too. Just as you can set aside regular time for personal development (e.g., 15 minutes a day, an hour a week), you can (and should) do the same for marketing. Don’t dabble with marketing or try to do everything yourself. If you want to build a successful practice, you have to invest in it. I can’t tell you how much to budget for marketing but anything more than zero is a good start. If you have multiple practice areas or offer a variety of different services, which one or ones do you promote? Your best sellers? Your weakest? Your most profitable? Do you lead with a low priced “entry level” service, seeking to create a new client, and then offer additional services through upsells and on the back end? Or do you lay out all of your wares up front and let the client choose? If you advertise, which service(s) do you feature? Or do you offer information to build your list and talk about specific services only after they subscribe or inquire? What do you highlight on your website? When you speak or write, what examples do you use? When someone asks you about your work, what do you say? If you are a family law attorney, handling divorce and adoptions, but you’re not getting much adoption work, do you double your efforts and promote that or do you continue to advertise and promote divorce? Or do you do both? Even if you have one practice area and offer one service such as plaintiff’s personal injury, you still need to decide where you will focus. Do you list a variety of different injuries, types of torts, or causes of action, or just one? These are things you need to think about because they are fundamental to your “brand” and to how you conduct your marketing activities and spend your marketing dollars. They are, of course, also an argument in favor of specializing. It’s a lot easier to make decisions about where to advertise or network or speak when you offer fewer services to a smaller segment of the market. But I’m not going to bust your chops about that today. I’m just going to remind you to spend some time pondering these things and making some decisions. You thought I was going to give you the answers? Sorry. No can do. It’s too complicated. There are too many variables. You have to answer these questions yourself. All I can do is ask the questions and encourage you to explore your options. I can also point out that the ultimate way to answer these questions is to test and measure your results. Run ads for two different practice areas or services and see which one brings in the most inquiries or leads, which one converts to the most dollars on the front end, and which one results in more profits long term. So you advertise your divorce services and your adoption services and see. Testing allows you to make a decision based on hard evidence. That’s the “science” of marketing. Of course marketing is also an art. Don’t ignore your instincts or your heart. If you think your market is ready to learn more about adoption, or you’re passionate about the subject, go for it. Even if the numbers don’t add up. Have you done your marketing workout today? You don’t have to fall in love with marketing any more than you have to fall in love with exercising. You keep doing it because you love the results. Do it long enough, however, and you might fall in love with the marketing itself. At some point, your brain will associate the positive results you’re getting with the activities you’re doing. You’ll get a chemical rush in much the way you do when you exercise. Eventually, you’ll do the activities as much for the enjoyment of doing them as for the results. When that happens, you won’t have to force yourself to do the activities, they will be a natural part of who you are and what you do. 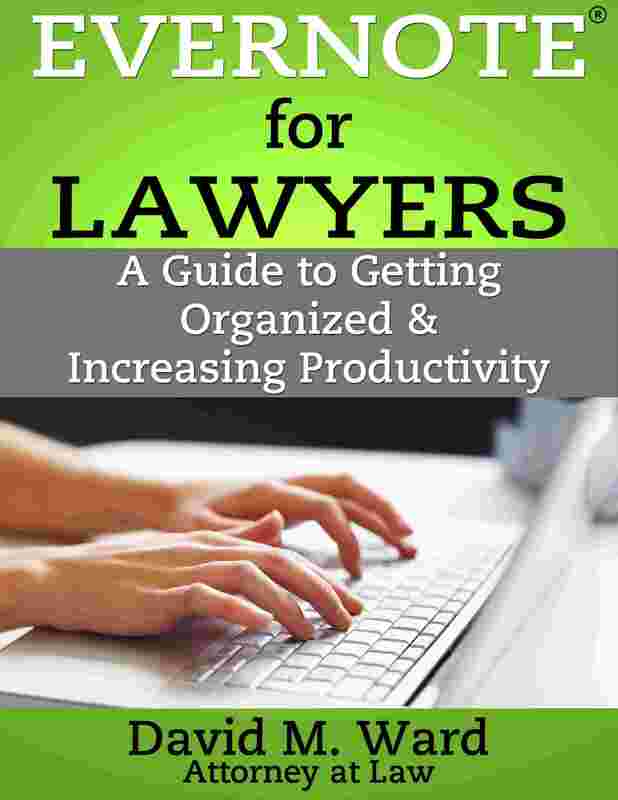 When you wake up in the morning, you won’t think about legal work necessarily, you’ll think about writing a blog post or calling someone to invite them to lunch. How do you get to that point? You keep at it, a few minutes every day, no matter what else is going on in your life. You get your marketing workout done, no matter what. You do the laps. You do the reps. And you keep doing it, over and over again, until the day comes when you realize that you can’t keep up with all the new business you’re bringing in. Like exercise. One day you look in the mirror, and you don’t recognize yourself. Like exercise, the hardest part is getting started. After that, the hardest part is to keep going, to get through the pain and the desire to quit, until it’s a part of your daily routine. Schedule marketing time on your calendar. Make an appointment with yourself and don’t miss your appointments. If someone wants to see you or talk to you during that time, they’ll have to wait until you finish your appointment. If you’re completely out of shape, don’t start training for a marathon, start with a 15 minute walk. Keep a list of easy things you can do that are marketing related, things like writing down names of people you want to talk to or ideas for articles or blog posts or presentations. Like a trainer at the gym, find someone who will hold you accountable to getting in your workout, but also someone with whom you can share ideas and cheer each other on. Write about your tough days and your doubts, your victories and goals. Take notes about your execution. Write down ideas. Read, takes courses, and never stop learning. Associate with other professionals who value marketing and do it every day. Take pride in your progress. When you hit a milestone, treat yourself to a nice dinner or a weekend getaway, or buy yourself a new toy. Don’t measure results in days or weeks, give yourself months or years. If you give yourself a year before you evaluate your progress, it won’t matter if you mess up today. You’ll shrug it off and get it right tomorrow. Eventually, you’ll see a breakthrough and you will literally be a new person. Like many formerly out-of-shape people who start walking and eventually get into the best shape of their life, you’ll find yourself saying, “I’ll never go back”.